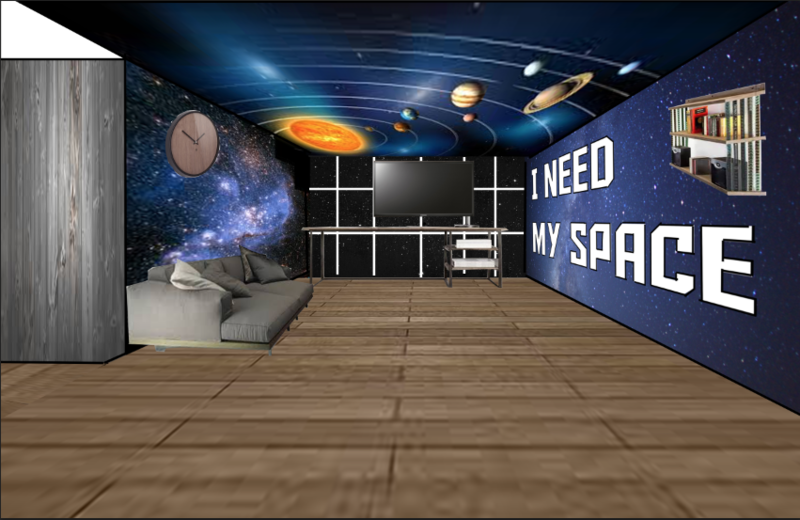 My favorite project this trimester was the Dream Room. I really liked the huge amount of freedom I had with the project. I also really enjoyed working with the DSLR cameras in little amounts throughout the trimester. 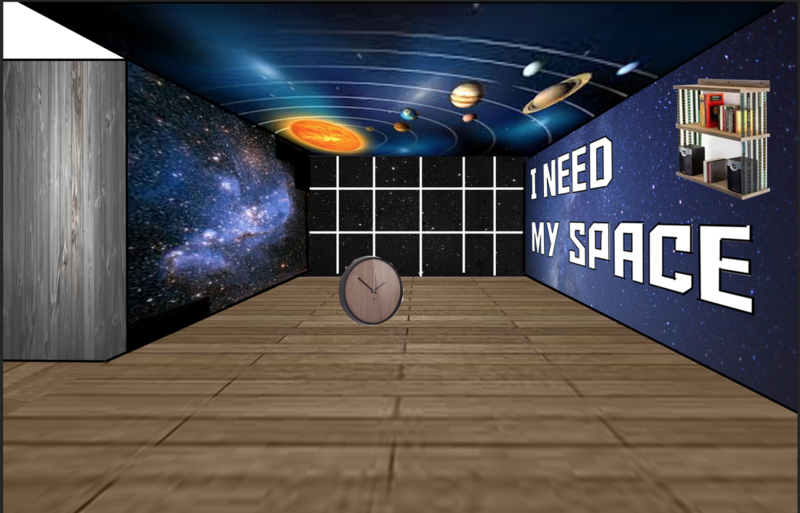 Hopefully my surrealism project will get finished today, but even if it doesn't, I had fun doing it. I'm really really proud of my feelings poster. It was difficult for me to write my thoughts down, but in the end, the poster turned out beautifully. For next year/trimester, I think every student should get a chance to work in Logic. 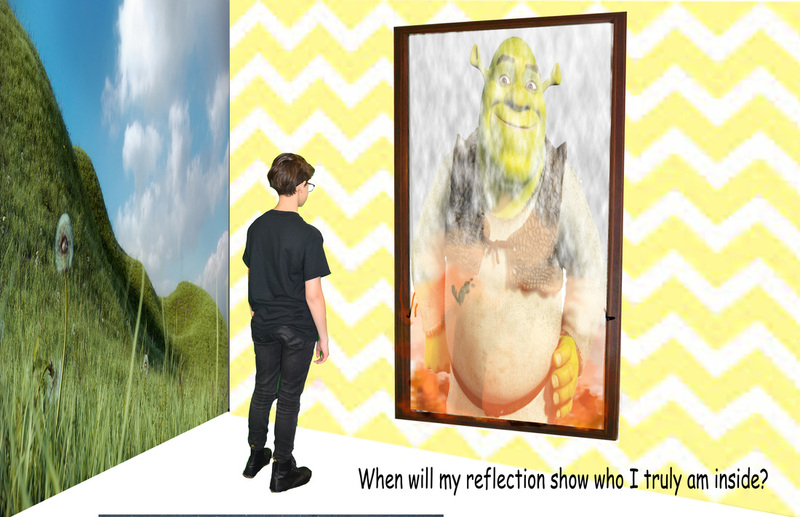 Through working with Shrek the Musical, I got to learn more about sound and sound design, which is something that really interests me. I would have liked to get a chance to work with sound design in a classroom setting, which I'm sure others would have liked to do too. Today I added fire and the wallpapers. 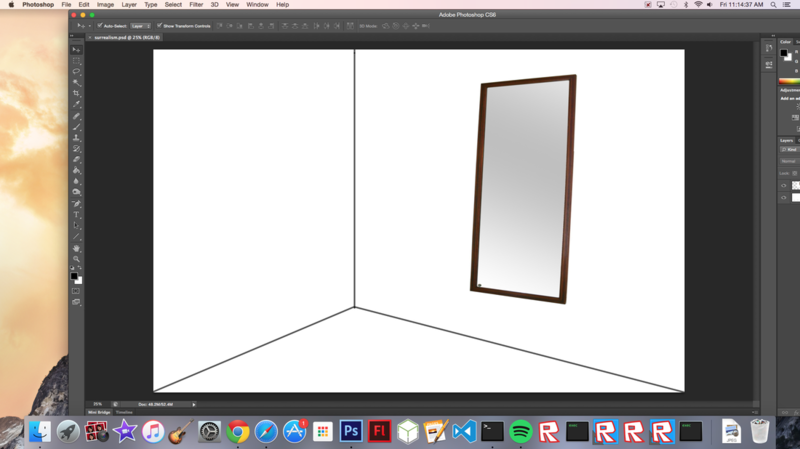 Today I drew the walls and put the mirror in. It took awhile to get the corners and the mirror at the right angle. 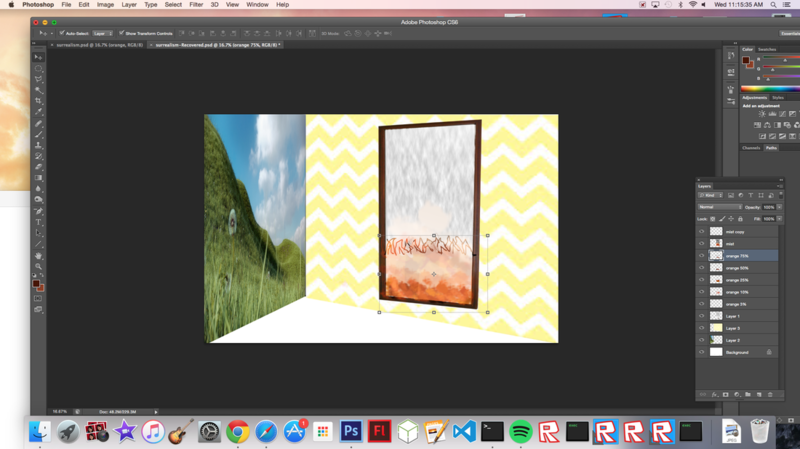 My Photoshop dream room is complete. 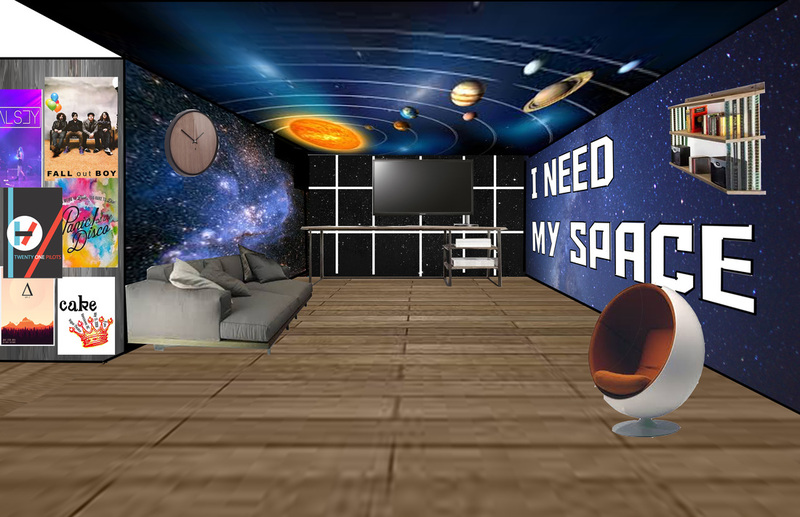 It is space themed. The objects I have in it are a couch, a TV, a desk, a clock, a chair, a bookshelf, and multiple posters. I had fun choosing what patterns I wanted for my walls and ceilings, and choosing what objects I wanted to complete the room. I used the distort tool, the lasso tool, and the line tool. I'm proud of how the room turned out, especially the mural on the wall and the wall full of posters. 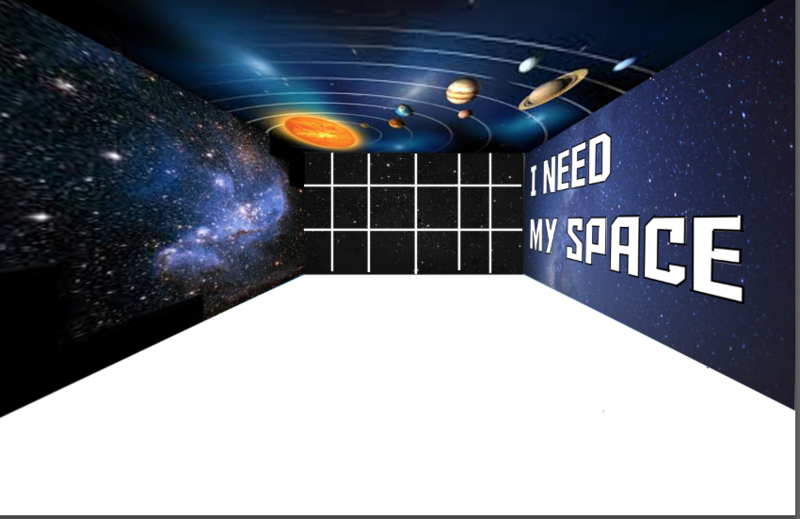 I am going to stop working on coding and start working on my surrealism project. While I enjoyed coding at first, after a while it became tedious and felt like a chore. I didn't feel like it was a way to express creativity. 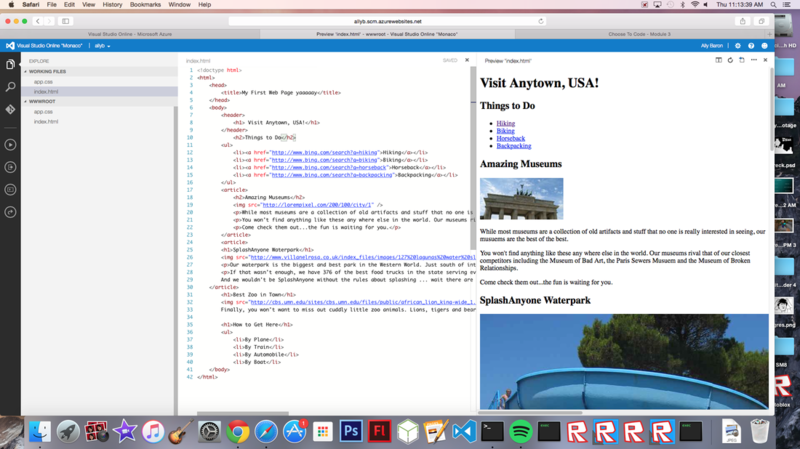 However, it was nice to get some resources and websites to use in the future if I want to start up coding again. I worked on adding images and hyperlinks today. Today I put the clock on the wall and put in the TV, desk, and couch. Today I put in the floor and started adding objects. Today I fixed the right wall and deleted the floor to be replaced later. I'm in 7th grade and I like reading and drawing. I like to work with technology and computers.